Gujarati to English translation - English to Gujarati translation. Translation is the necessity for today’s world and we are providing the Gujarati translation in its best possible way. We employ only the very best Gujarati translators the world has to offer. They are meticulously screened during our rigorous selection process so that only specialists having the best qualification, industry experience and subject expertise handle your translations. We only work with dependable and experienced translators who consistently display superior performance and quality results. We ensure that the Gujarati translators assigned to your project have the appropriate expertise required to provide you with a high quality, culturally sensitive translation in any field that you desire. Gujarati Translation Fields: Document Translation ( IT Manual, Software Manual, Multilingual User Manual, Technical Script and Manual, Training Material, Medical Documents, Engineering Documents, Marketing & Advertising, Legal Documents, Literatures, Official Papers, Tourism, Sports), Website Translation, Software Localization, Multilingual Web Publications, Web Content management and translation, Print Publications. 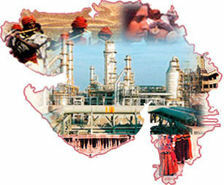 There are about 46 million speakers of Gujarati worldwide, making it the 26th most spoken native language in the world. Along with Romany and Sindhi, it is among the most western of Indo-Aryan languages. A major phonological change was the deletion of final ə's, such that the modern language has consonant-final words. Grammatically, a new plural marker of -o developed. In literature, the third quarter of the 19th century saw a series of milestones for Gujarati, which previously had had verse as its dominant mode of literary composition. Of the approximately 46 million speakers of Gujarati, roughly 45.5 million reside in India, 150 000 in Uganda, 250 000 in Tanzania, 50 000 in Kenya and roughly 100 000 in Pakistan. There is also a large Gujarati community in Mumbai, India. The United Kingdom has 300 000 speakers, many of them situated in the London areas of Wembley, Harrow and Newham and in Leicester, Coventry and Bradford. A considerable population exists in North America as well. A portion of these numbers consists of East African Gujaratis who, under increasing discrimination and policies of Africanisation in their newly-independent resident countries (especially Uganda, where Idi Amin expelled 50 000 Asians), were left with uncertain futures and citizenships. Most, with British passports, settled in the UK. Gujarati Translation services - Low Cost Gujarati Translation- Gujarati Translators - Cost effective Gujarati Network - Kolkata Gujarati Translation - Website Localization India - Kolkata Translators - Gujarati Content Writing India - Indian languages - Language Professionals Kolkata.